Join the Seattle Art Museum Friday, November 8 in the Plestcheeff Auditorium at 6:30 pm as we welcome Swaziland native artist Nandipha Mntambo for an engaging and enlightening discussion about the art of bullfighting and one’s relationship with cows. Her hide sculptures, performance videos and startling photography put ancient mythology and contemporary reality in a new framework. 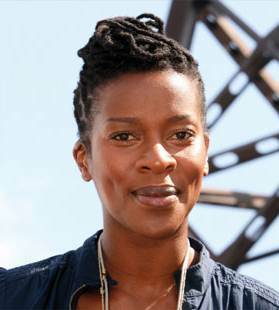 Don’t miss this opportunity to hear from the 2011 Standard Bank Young Artist Award winner. Mntambo’s talents include photography, videography, taxidermy and sculpture. Taxidermy and her interest in chemical processing are the backbone for her unique sculptures where she fuses the dichotomy between humans and animals by rendering the female form with the treated hides of cattle. The artist combines fluidity, nature and femininity to create truly mesmerizing work. One can’t help but wonder how Mntambo creates a fixed sculpture with a tremendous amount of detail from a once pliable cow hide. Take the time to discover more about her inspiration and interests that led to success and international recognition! Check out the SAM Calendar for more information.